Hey, folks. I am once again proud to say that I've finished one of the dog books in my so-called mini-dog library. Spott's Canine Miscellany by Mark Darton makes a wonderful coffee table book. This said, I am glad I've finished reading the entire 93 pages of dog trivia and facts. 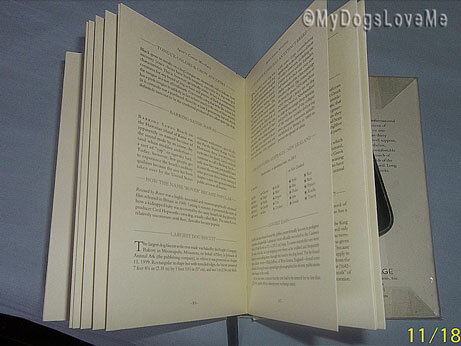 The dog book contains dog related trivia, facts, medical and behavioral explanations, poems, short stories, sayings and terms that a dog lover should know about. 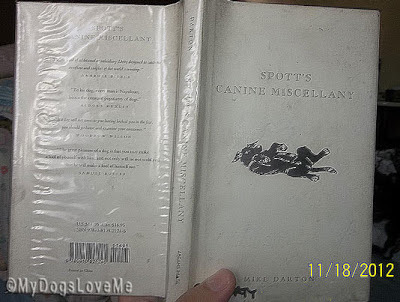 When it comes to reading about dog trivia, Spott's Canine Miscellany may just be the book for you. Statistically speaking, female dog bites are twice as many as male dog bites. Dogs circle 3 times on average before they settle down in their resting spot. This is probably the reason why most dog beds are round-shaped. Dog tail-wagging isn't instinct. They learn this behavior during their first social encounters (most often from their mothers and siblings). By 7 weeks of age, puppies will have learned tail signals which is a necessary skill to be able communicate with others. Spott's Canine Miscellany even has its own special black ribbon bookmark. I just love that I was able find this doggy treasure in a second hand book store. This book cost me $0.40. Looks like an enjoyable read. Will have to look for it. Hey guys! How have you been? i’m sorry i haven’t come along to visit in a while. We’ve been busy preparing for da videO for Cesar Millan here: http://www.subarubestinshow.com/vote.php?dog_video=226 Today’s the final day for vOting. Just barely 2 hours to go. I was wondering if you would like to help vOte for me one last time today? Thanks a whole lot! Xoxoxo Poppy! 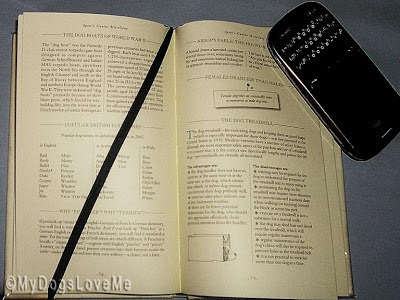 That book has lots of information in it! What a bargain for so much cool information! Momma loves used book stores, too! hrm, if dog beds are round cuz dogs circle, wonder what shape Max's would be, cuz he hasta knead dad's belly 30 times before he settles down! 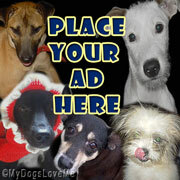 The book looks like it would be a great gift to a dog lover! Something I would love to find for my mum.